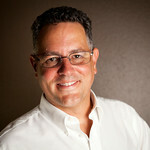 My name is Barton and I am an Arizona Photographer shooting a couple of generes but mainly portraits. If you need headshots, Senior Pictures, Family portraits or have an event you need photography for please contact me. As you look through my work below please feel free to coment letting me know what styles you like. You can reach me via e-mail at anoziraphotography@yahoo.com. www.facebook.com/anoziraphotography. Thank you for your consideration.